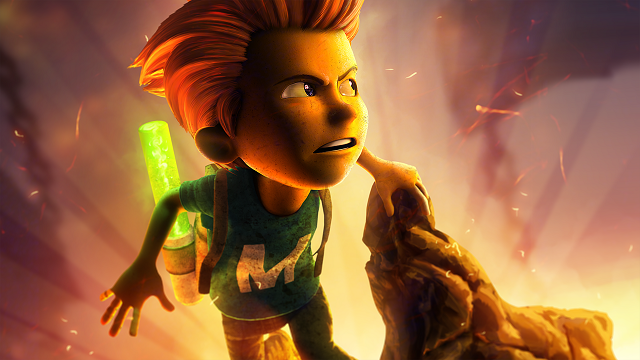 Max: The Curse of Brotherhood was developed by Press Play and published by Microsoft Game Studios. It was released on December 20, 2013 for $14.99. An Xbox One copy was provided for review purposes. 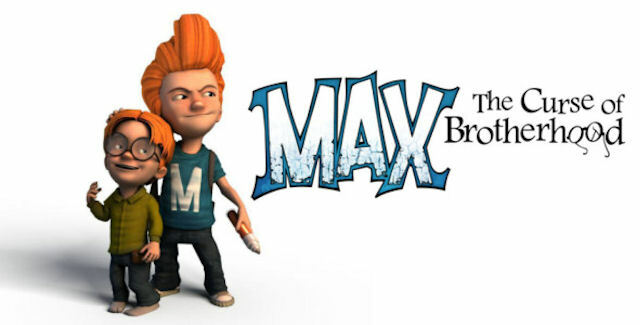 Max: The Curse of Brotherhood is a 2.5D puzzle platformer in which players take on the role of Max, a young boy who uses a curse on his annoying brother, Felix, and then has to rescue him when the curse turns out to be real. Players are equipped with a handy marker that can alter the environment, helping them to solve interesting puzzles in their quest to save Felix from the evil Mustachio. 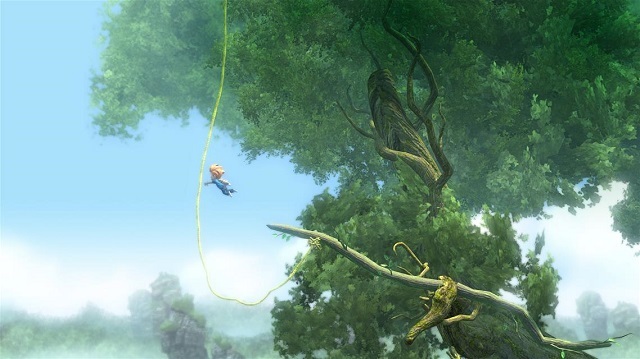 Beautiful visuals – While it doesn’t exactly push the Xbox One to its limits, there is no denying that Max: The Curse of Brotherhood is visually stunning. 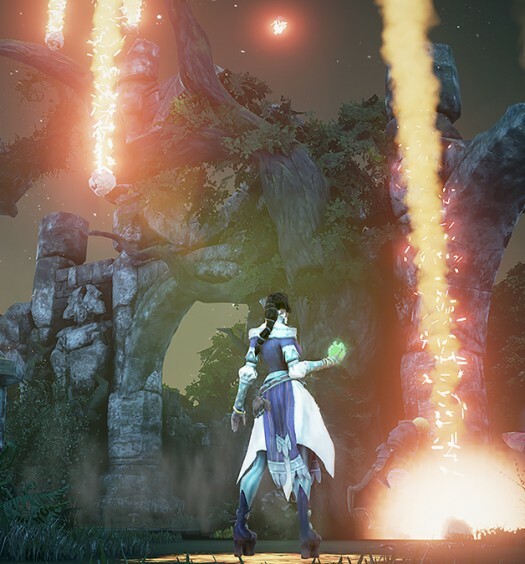 The game is filled with rich, colorful backdrops that change drastically over the course of the game. The locales span dusty deserts, dangerous rivers and volcanic caves, all beautifully crafted and a wonder to behold. Strong puzzle elements – The ability to interact with the environment through the magic marker allows for interesting puzzles that are a lot of fun to solve. New abilities are added every level, such as creating vines to swing from or building platforms to gain access to different areas, ensuring these puzzles never grow stale. Plus, to top it all off, the game contains special slow-motion segments, which occur during particularly intense moments that look and feel amazing. Strong audio elements – The music is complementary to the overall experience. 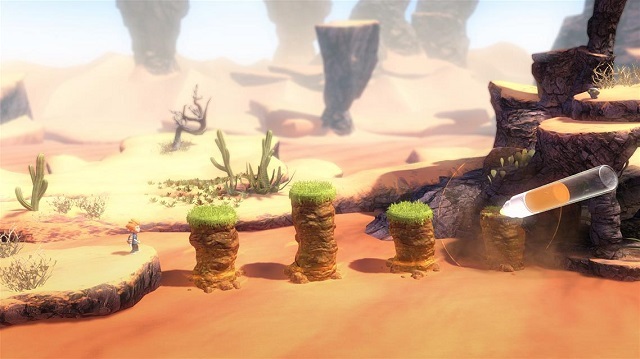 It changes to suit the various environments, building suspense and increasing in intensity at the right moments, such as the times when the player faces off against the large beasts that Mustachio has sent to stop Max from reaching his brother. The voice acting is similarly well done, with humorous banter between Max and his brother that makes for a cute story. 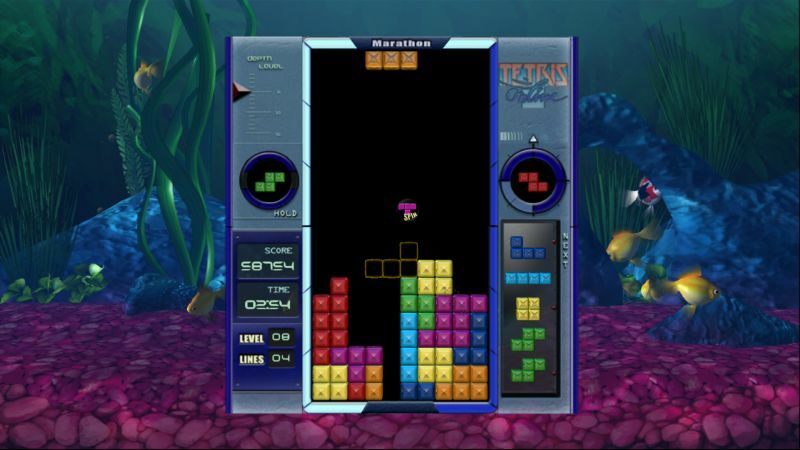 Occasional annoying difficulty spikes – While the puzzles work well and are mostly fun to solve, there are a few sections when the game gets frustrating. These are usually time-based challenges, where the controls start to become a little clunky. For example, whenever the larger beast comes into play the gameplay gets fast and frantic and it can be somewhat difficult to quickly switch between Max and the marker, leaving little room for error and often ending in frustrating deaths. Luckily, these moments are few and far between, so they don’t detract too much from the overall experience. 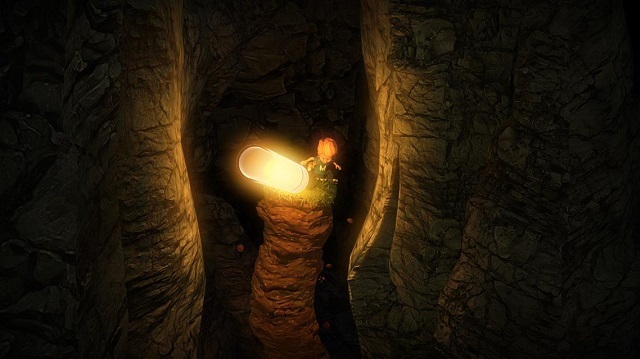 Max: The Curse of Brotherhood is a fun, beautiful, solid platformer with interesting puzzles that are only occasionally frustrating. Brotherhood‘s gameplay, visuals and audio combine for one of the best XBLA-styled Xbox One games to date. It’s the type of exclusive content that’s been sorely missing from the console since its release, but Max: The Curse of Brotherhood is a step in the right direction and hopefully a signal of what’s in store for the future of the Xbox One.